I wasn't very impressed with the new Mustang when I saw it in real life. 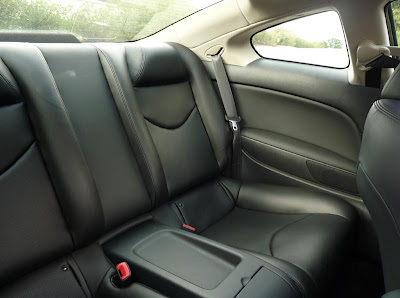 Still plenty of hard plastics all over the interior, and the outside just doesn't look that new. Besides the black tape on the lights, there is no camouflage on this one. You can even see the 3rd little window by the rear pillar. 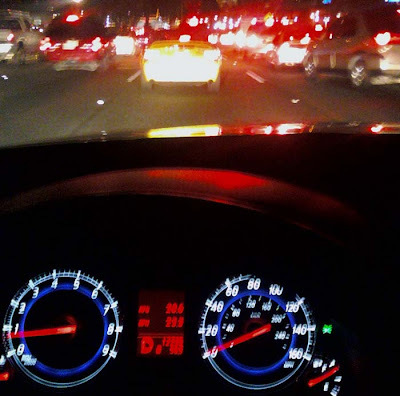 Is this really what driving in the 21st century has become? I mean, this is pretty impressive technology, but it is really sad at the same time. Was anyone asking for this? It will start at $14 000 for the base 1.6 Liter car. 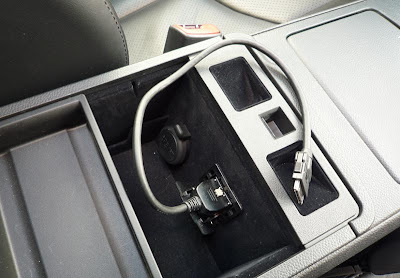 It does include ABS, air, power windows, power locks and a stereo with a USB plug for your iPod. 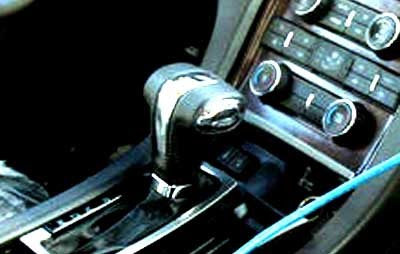 The 4 speed auto is $1000 more. That is almost $2500 less than the Scion Xb! The top of the line Sport model with a 2.0 Liter engine black and tan interior, Sunroof, 18 inch wheels, better sound system etc.. Will go for $17 000. That seems to be pretty good. 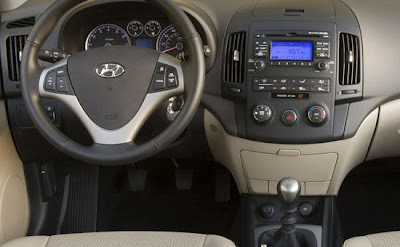 But, I did sit in the Soul Sport at the Auto show and was pretty surprised how cheap the interior looked. Maybe I was expecting too much, I don't know. But $17 000 is still $17 000. And the interior materials were very cheap, and hard. So, a cool looking car. With cheap plastics inside. Should Burlapp "Detroit or not Detroit"??? 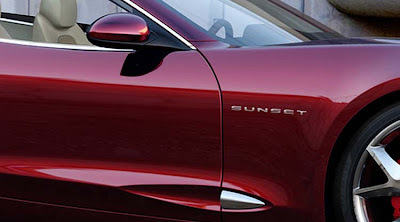 Independent car maker Fisker will be showing a new concept at the Detroit auto show called the Sunset. And they will also introduce the production version of their Karma plug-in Hybrid sedan. Just like in Hollywood, it seems that the "independents" are coming up with the more interesting products. The next M is due within a couple of years. And it is rumored to grow a little bit. I just hope it turns out a bit more original and aggressive than this illustration. 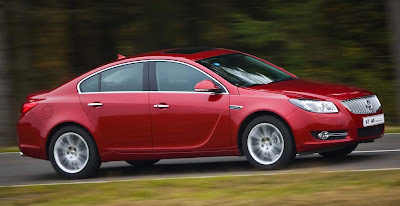 A good looking car that sure would look nice in our US Buick showrooms. It's not like Buick has too many new or cool models to sell. The Lucerne is on its way out. 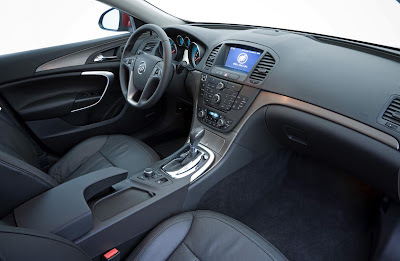 So the new La Crosse and the Enclave will be it for Buick. 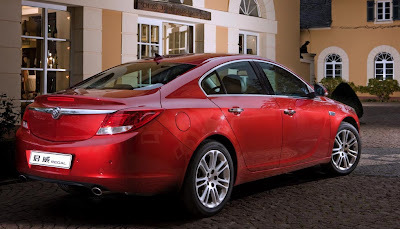 This "Opel Insignia with a Buick grille" looks really nice. 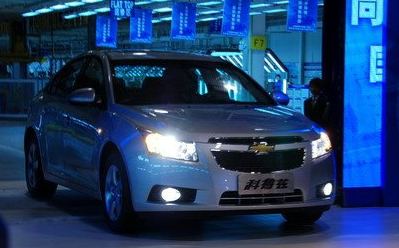 No V6 offered in China so far. But that would be even better here as a sub-La Crosse model. Pretty cool features, but still no sunroof??? So you know, the third small side window is actually glass. It is just covered on the prototype by a piece of tape. So it does look much better. And allows all windows to come down for a really open look and feel. I guess the big Honda van isn't such a huge seller these days. A redesign might not come very soon. It looks like they'll just tweak it a little bit for the next few years. I am not really familiar with the Odyssey, so all I can see on this is pretty much a new grille. 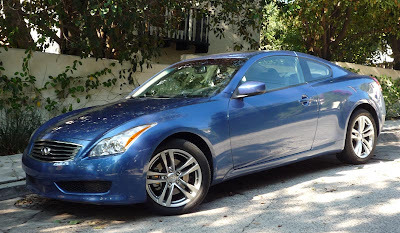 I always liked the look of the Infiniti G35 coupe. And I thought, when I first saw pictures of it, that the new G37 was just an updated, slightly melted down version of the 1st generation. But the new car does look striking in person. Very classy and just aggressive enough. A really good looking car. The interior is much better than the previous version. Soft plastics are used almost everywhere. And everything feels very solid and well put together. 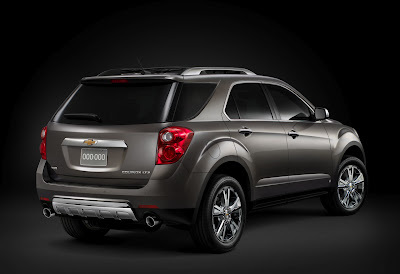 I am not too crazy about the "brushed aluminum trim". Somehow, it just doesn't look that special. It just looks like they put aluminum where the wood trim should be . Which is just what it is. 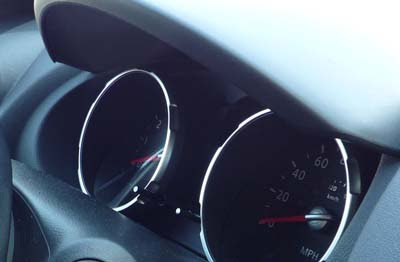 Another small complaint I have is with the bluish purple color on the dials. 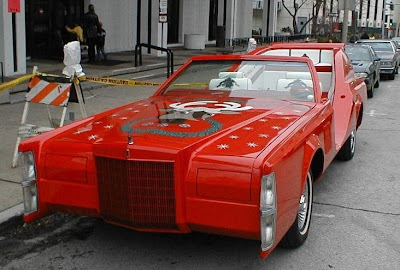 It just doesn't look classy. They should have been white all over. The back seats are surprisingly roomy. 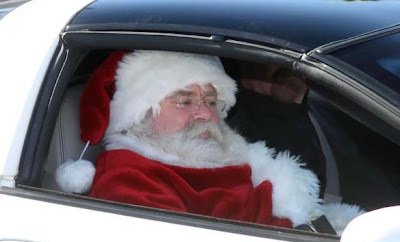 I did drive the car with 4 people on board around town and nobody complained. One amazing feature is the USB plug for your iPod. 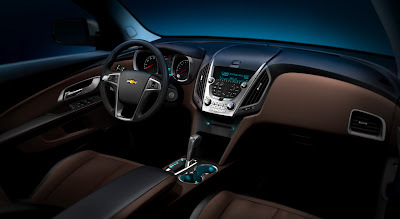 Which allows you to control it from the touchscreen, or the steering wheel. With this on board, you don't really need the CD player anymore. And even less the built in Hard drive. But again, the colors used on the display make the whole thing look a bit cheap. Every single designs, shapes have gradated color schemes. Simple is always classier. This looks too much like a cheap video game. The ride is about perfect for me. Firm, but never harsh. Smoother than the Nissan Z, but still firm enough to feel great. Again, the steering feels great. Just a little bit firm. But with plenty of feedback. I have nothing bad to say about this engine. It is great in every car I tested it in. Nissans or Infinitis. 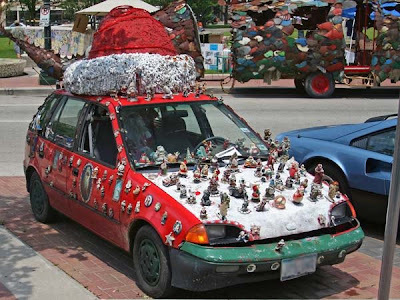 In this model, it seems to have a double personality that fits the car perfectly. It is Lexus quiet at cruising speed, but sounds like a race car when you push it. This car has Infiniti's new 7 speed automatic. And it is really smooth a pretty quick. Altought there is still just a little bit of lag when you push it. But once you do, it'll downshift 2 gears and you will feel the power of the mighty 330hp, pronto. 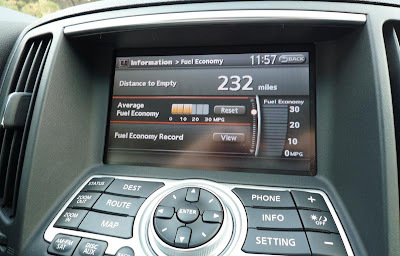 I did average over 21MPG during my week with the car. 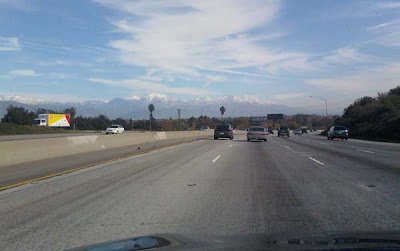 Including about 35% highway. Strict city driving got around 17.5MPG. 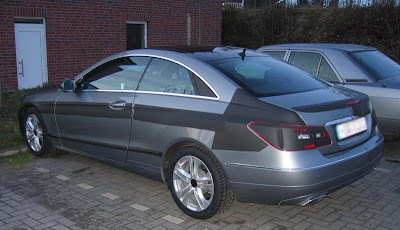 And I was driving the X, AWD version of this car. So the regular RWD version should be even better. 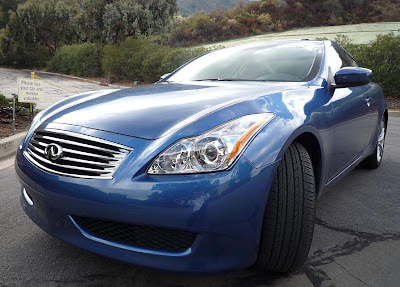 I think the G37 should be on everyone's list when looking for a luxury coupe. 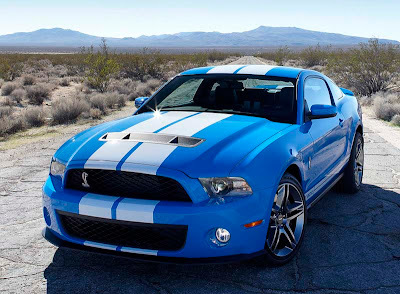 It looks great, drives great, and comes from one of the most reliable brands sold in the US. You really cannot go wrong. The base 2009 Coupe starts at $36 700. But various packages quickly push the price past $40 000. Its closest competition, the BMW 328 Coupe Auto starts at $2000 more. And leather is $1300 extra. Plus it has a smaller engine with 100hp less. 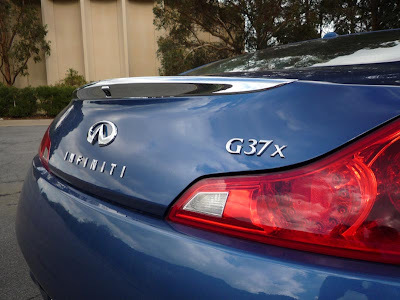 Even though it is quite expensive, the G37 is a good deal compared to its competition. 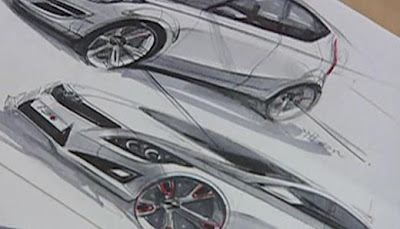 Sketch from the Hyundai design dept. The top car looks to be a sporty version of the i30. 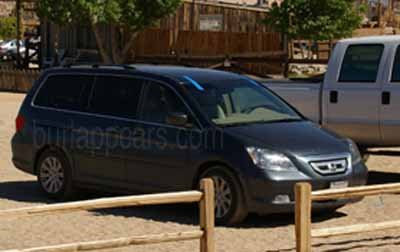 Sure is pretty optimistic, but if you compare it to the previous spy pictures, it does match. The headlights do seem to be that big and aggressive on the real car. The current Sonata is already a very nice car. This should really become one of the most serious contender to the Camry/Accord crowd. Except there are still plenty of people who will never want to be seen driving a Hyundai. What else am I driving??? What am I driving this week??? 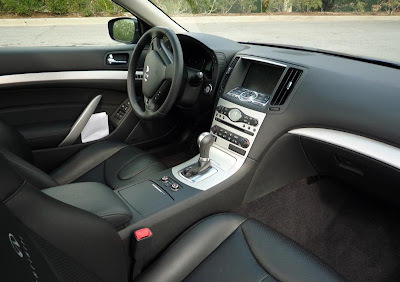 And you can even get a small look at the interior. We can't see much yet, but it's looking good. The new 3.0 Liter will be standard, that's good too. 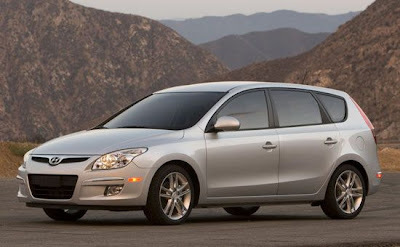 The wagon version of the Hyundai 130 ends up in the US as the Elantra Touring. It will start at $18 500. Not that cheap, but it does include a high end stereo with a USB plug for the iPod. And power everything. 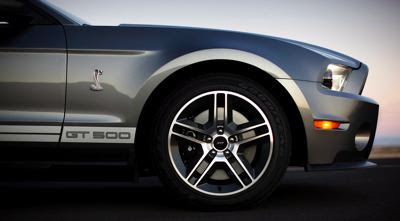 A Premium Sport package adds a sunroof, heated seats and 17 inch alloy wheels. 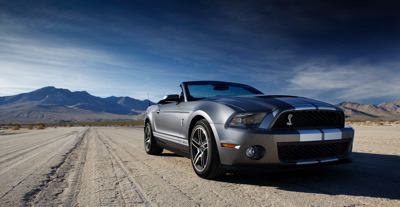 The most expensive model with the package and the outdated 4 speed auto will be priced at $20 800. Minus the usual huge Hyundai rebates. Not sure if this is still going. 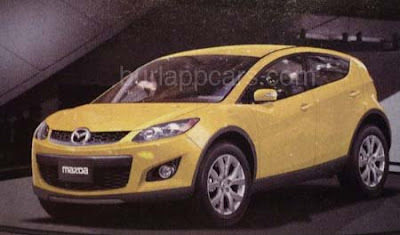 But Mazda was planing a smaller Maxda3 based crossover called the CX-5 . This illustration shows what it could look like, and it could turn out really nice. 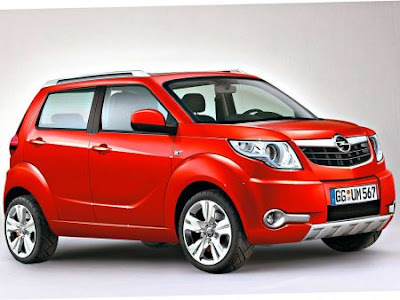 And it could bring a new segment into the US market, where the CRV and RAV4 have grown larger and larger each time they get redesigned. I think there is room for a sub $20 000 5 seater crossover. 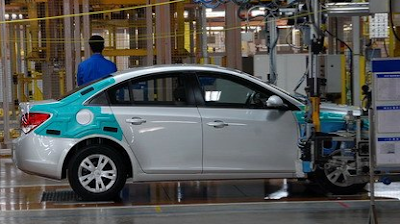 Instead of getting a version of the upcoming Opel Astra, Holden's next compact car will be based on the Chevrolet/Daewoo Cruze. I guess it'll make things cheaper. Holden claims the car will have its own design, but by looking at this "overly optimistic" illustration of the car, it does look a lot like the Cruze. 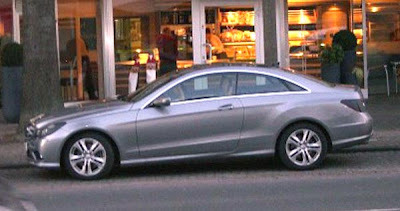 With a new front. I think it is, so far, very impressive. I am not sure they needed to surround every single switch with a chrome ring though... But still. For a car in this price range it seems really nice. Although I was disappointed by the 2010 Mustang interior in real life, I still think the Flex is great. Inside and out. Let's hope it gets decent mileage and isn't too large for the current market. Plenty of pictures if you click on the title. 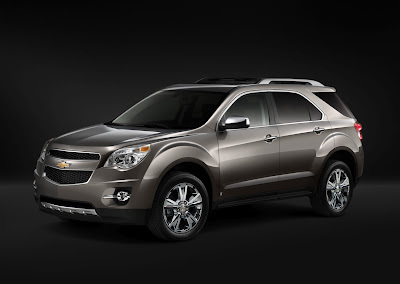 The old new Equinox looks a lot better. Not that the current one looked bad, really. The big news are also the all new engines. Especially the new 2.4 Liter that is supposed to get 30mpg on the highway. Which beats pretty much everything else in that cathegory. 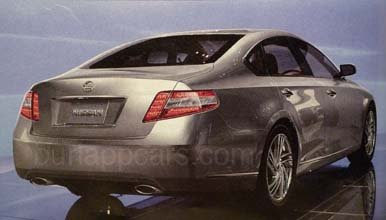 2010 Lexus "Prius based Hybrid"
For the 1st time, Lexus will get its own version of the all new Prius. 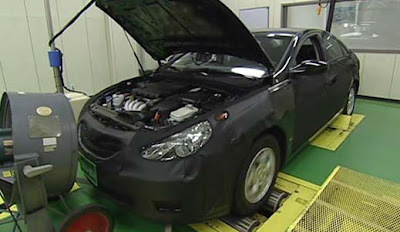 Design and interior will be different from the Toyota version. Just like GM is planing a Cadillac based on the Volt. 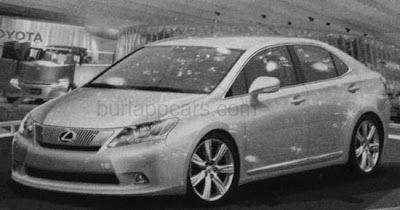 It makes sense the Lexus version would look much more conservative (Or super boring). And will have a trunk instead of the Prius's hatchback. It will also have a larger 2.4 Liter engine. Starting prices should be closer to $30 000. This looks to be based on the Trio concept from a couple of years ago. That would be nice to see this here as well. 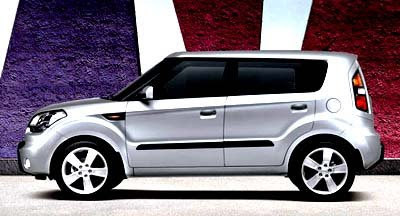 As a competition to the Scion, Cube and Soul. 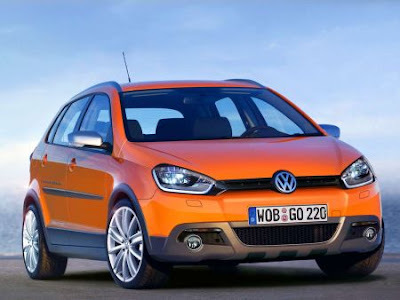 VW is still considering weather or not to bring the next "smaller than Rabbit" Polo over here. With the new Golf/Rabbit, a revised Passat, redesigned Bettle and all new "US only" sedan, the Polo would be a nice fit in a much more attractive US line up. 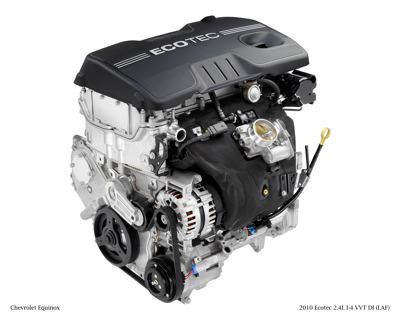 The 2.4 Liter is good for 180hp and should return 30MPG on the highway. I guess this would eventually replace the current 2.4 Liter used in so many GM cars. 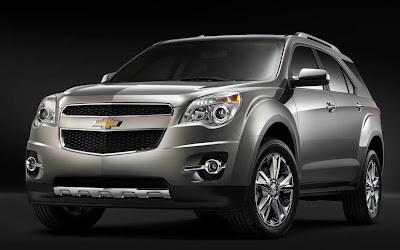 The new one will debut in the 2010 Chevrolet Equinox. There is also a new 3.0 Liter V6 with 255hp. 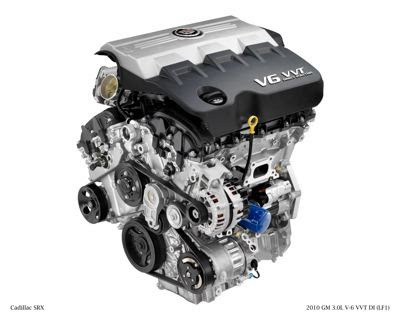 Good to see someone coming out with a "smaller than 3.5 Liter" V6, finally. I always think the larger 3.5 Liter engines are an overkill in most cars. Especially when most people are looking for more fuel efficient models. And 255hp is more than enough for any mid sized car. 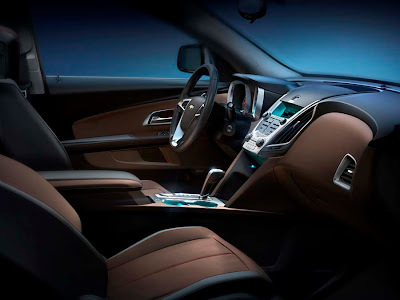 This will debut in the new 2010 Cadillac SRX. The engine plant for the US version has been delayed. Again. So we won't see one for a while. But in China, production started this week. BYD F3 DM Hybrid Plug In. 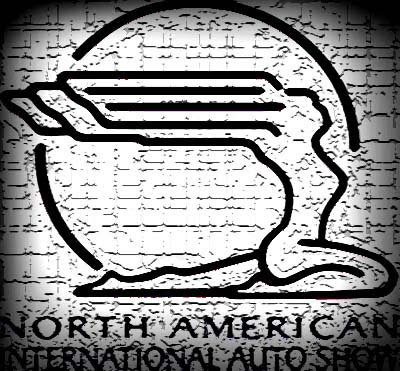 Chinese company interested in Volvo. Wagoner to drive Volt to DC. How new is the "new" Gold Plus? What do you think of the Panamera?